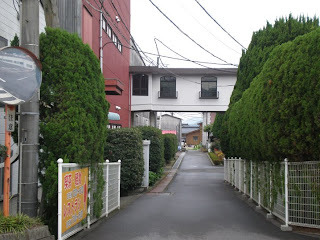 I am hoping to post several times today with photos of inside of the Toho Factory and the Glass Village which includes the Bead Museum. 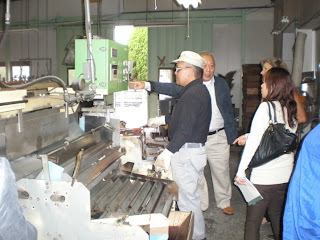 This is Mr. Kaoru Yamanaka one of the family owners of Toho. He is the warmest gentleman you would want to know. He also has the best sense of humor ever. We laughed so much with his happy ways and joking manner. A wonderful man. Ayako our translator and the young man is a reporter and editor of Japanese beading books. Ahh secrets in this building. 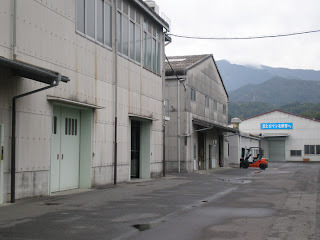 It is where the Aiko beads are manufactured! Getting ready to make purple transparent bugles. 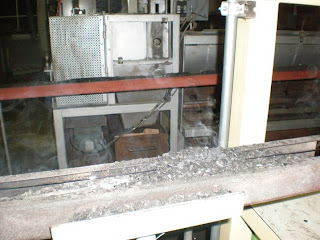 A glass stringer is pulled across the very hot tray and put into the machine in the next photo. Beads are set to diameter and cut for the next step. 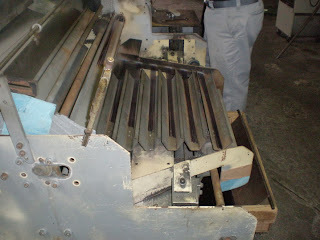 Glass stringers come off of this machine then off to the cutting room for length size. The green computer keeps everything to the right dimensions. The use of old and new technology is amazing and the entire process is down to perfection. 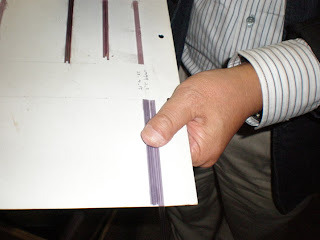 A keen eye to check for color and dimensions and the glass is off to the cutting room. Sorry no photos were allowed there. Bead with Honor and Integrity. I find the whole process amazing! And, yes the grounds look bigger now! LOL! Fantastic! I am hoping to go there next year!